With just one Australian-bred horse racing in today’s Melbourne Cup, international travel has become a prerequisite to the race that stops a nation. We look back on an article from November 2003 examining the specialist cabin crew, logistics and training required to transport some of the most valuable cargo; and the safety challenges that come with it. Legend has it that Archer, the winner of the first Melbourne Cup, in 1861, was ridden the 850 km to Flemington Racecourse from his stable in Nowra, NSW. These days, many of the runners arrive by air. Favourite for this year’s race, Mamool, was flown in from Ireland by International Racehorse Transport late October. The Godolphin-trained stayer is one of many contenders being transported here by air. The champions were accompanied in the cargo holds by a special class of cabin crew. The air transport of horses is a multimillion-dollar business. Australia’s horse imports and exports are worth between $90 million and $100 million a year, according to a recent paper by the Australian Equine Veterinary Association. The trade in racehorses, trotters, dressage horses and breeding stock now exceeds 3,000 animals annually, and the traffic is growing. September saw the largest single quarantine intake at the Sydney Animal Quarantine Station, in Eastern Creek, with 80 horses from the USA, UK, Ireland and Europe delivered to new owners. The trade has spawned a niche industry in Australasia. Auckland-based Asian Express Airlines has been transporting horses since 1995. It operates a Boeing 727-200 that was converted to freighter configuration after service as a passenger plane for Sterling Airways in Denmark. The aircraft can carry 36 horses in charter configuration, but it is full only during the breeding season and events such as the yearling sales. 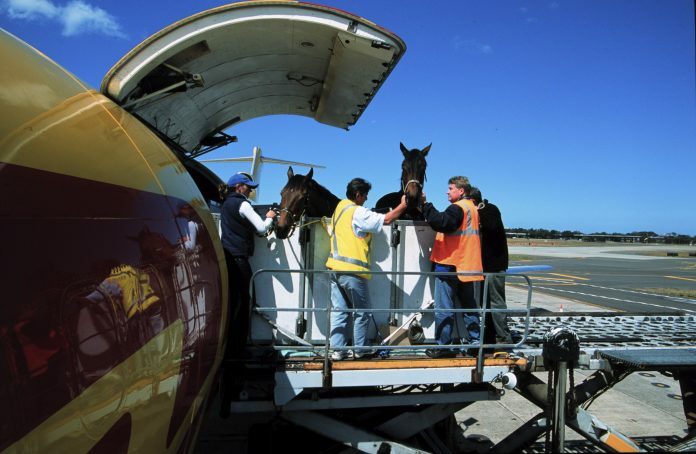 The company usually freights horses twice a week on scheduled flights from Auckland to Sydney. Meanwhile, International Racehorse Transport, formed in Melbourne by Quentin Wallace in 1972, now has offices in Melbourne, Auckland, Cambridge, Los Angeles, Chicago and London. 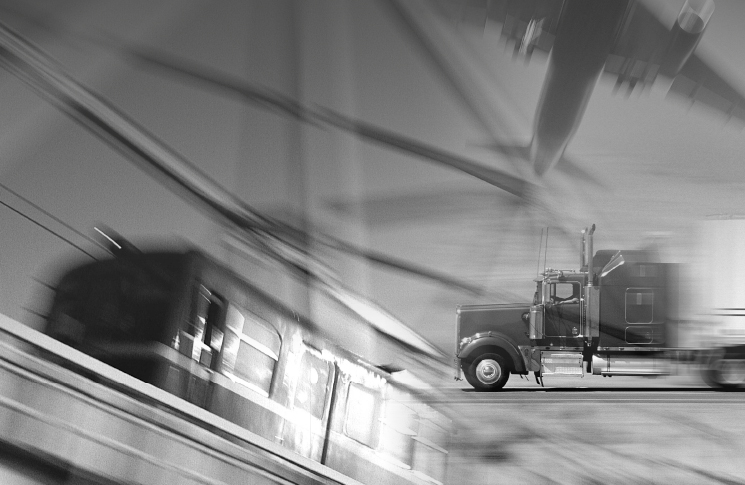 The company transports about 5,000 horses each year. Although there is no legal requirement for crew to accompany livestock, owners of horses worth millions of dollars are reluctant to let their valuable property travel alone. This has seen the advent of multiskilled cabin crew responsible for the safety of the horses and for protecting the aeroplane from these highly-strung passengers. Like other cabin crew, livestock attendants are trained in emergency response procedures. However they also know how to control horses. Livestock attendants cannot stay with the animals for the entire flight, as regulations require them to be seated during take-off and landing and when the seatbelt light is on. Like humans, horses are most nervous during take-off and landing, but they settle down when the plane reaches altitude. Longer range aircraft requiring fewer refuelling stops have alleviated the problem. However, long flights are stressful too. Better diagnostic tests for common equine diseases mean that the champions, once prevented by Australian quarantine restrictions from stopping over in Asia, can now come in on shorter routes. Previously, they had to fly via Canada from Europe, and it was not until 1993 that a European trained horse – Vintage Crop – took the Melbourne Cup. Still, last year’s runners from Europe endured 39-hour flights. Somehow Media Puzzle from Ireland managed to win. Horses travelling for the first time and young horses are those most likely to be spooked, especially at airports, says Wayne Moorehead, a groom who has flown between Japan, New Zealand and Australia. Grooms can usually avert problems. However, insiders recount the case of a horse that broke free of its stall and made its way down the plane to the flight deck. To deal with such incidents, livestock attendants are approved to carry sedatives that knock horses out within five seconds. The animals rarely need to be tranquilised, however,says Ross Howley, general manager of Asian Express, the only Australian carrier that flies with an operational crew of livestock attendants. Occasionally, horses have had to be put down. Chris Burke, of International Racehorse Transport,recalls only two cases, one on the tarmac, the other mid air. Tightened security since the September 11 World Trade Centre attack has focused attention on drugs carried on aircraft. Livestock attendants must be trained and certified by vets in the use of drugs, including sedatives and antibiotics. However, under National Registration Authority regulations, only vets are allowed to carry full drug kits containing euthanasia drugs. (Vets now accompany some horses.) Some horses cope with their fear of flying better if they travel with a companion. Trainer Dermot Weld says it does not cost much more to transport two horses than one,so his horse, In Time’s Eye, travelled to the Spring Carnival with its stablemate One More Round. This year, Jardines Lookout flew in with his little companion, Henry the pony. They flew first class in their own air stable. 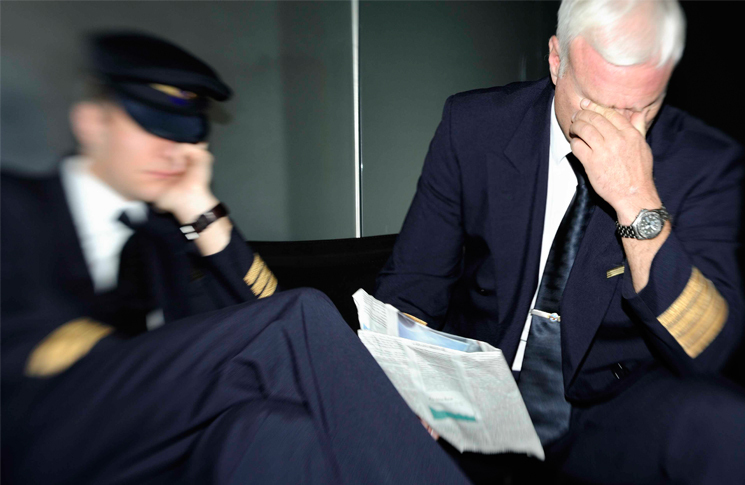 The most common onboard incidents relate to horse “travel sickness”. Horses clear their lungs by stretching their necks while feeding from the ground. In air stables, breast bars restrict this movement, causing fluid to build up in the lungs. Grooms closely monitor the congestion because it can cause acute respiratory disease. Meanwhile, air stables are improving. They are now made from strong, lightweight materials that are easier to transport when off the aircraft. Previously, up to 113 horses could be loaded onto a 747. They were walked onto the plane, and the stalls were built around them. Now, the horses are loaded into their air stables then lifted into the cargo hold. The most that will fit on board is 87, using the full main deck of a 747 with three horses per stall. 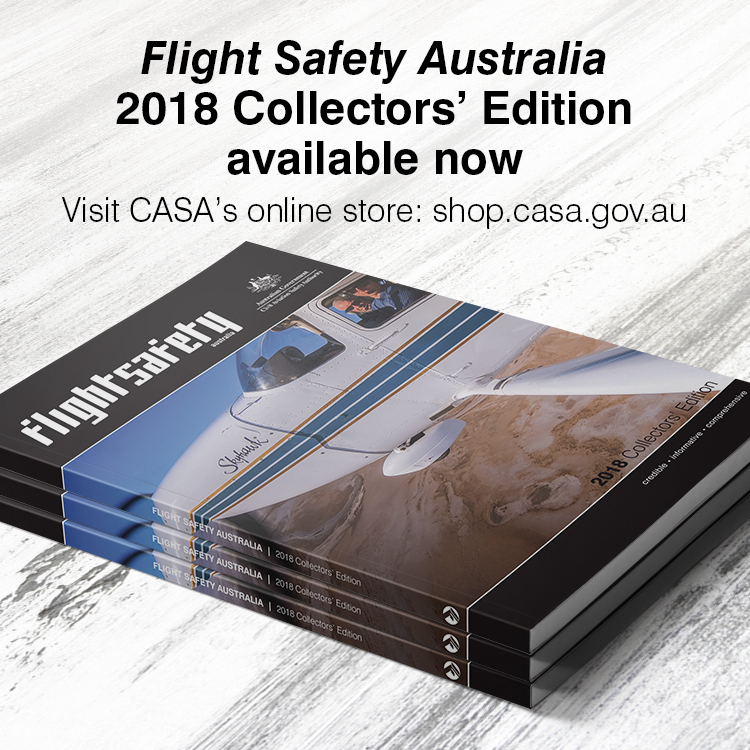 Training: Civil Aviation Safety Authority cabin safety specialist, Grant Howard, says livestock attendants on Australian carriers must meet training and testing requirements for crew emergency procedures. CASA is assisting operators to develop appropriate training for these crewmembers. The Animal Air Transport Association trains and certifies attendants in the handling of the horses, but transport companies do much of the operational training themselves. Asian Express Airlines trains professional grooms, sourced from International Racehorse Transport and New Zealand Bloodstock, in air operations. Asian Express chief pilot Andrew Sturrock trains the grooms in firefighting, evacuation and the use of oxygen masks. A recent drill at an Auckland swimming pool had the grooms simulating a ditching into water. At the rails: Meanwhile, Mamool was due to be released from Racing Victoria’s quarantine station at Sandown Racecourse on November 4, just hours before the big race. Most overseas horses have to spend two weeks at the station, where they continue to do track work. Exceptions are those from New Zealand. With no quarantine restrictions, they regularly compete on Australian soil. Twelve of the winners of the last 22 Cups have hailed from across the Tasman. A week out from the big race, when Flight Safety Australia went to press, there were still 17 international contenders in the running, with Hugs Dancer (FR), Zagalia (NZ) and Makybe Diva (GB) up there with the bookies. Thanks for sharing – always good to reflect and gain an understanding of an aspect of aviation that is a little different, instead of carrying human beings they carry magnificent horses! Very interesting article,always interesting to see behind the scenes! Huge operation to ensure the safe transporation of such special horses.